Kaidon Ho is an Austin-based artist with a design background from the University of Texas at Austin. 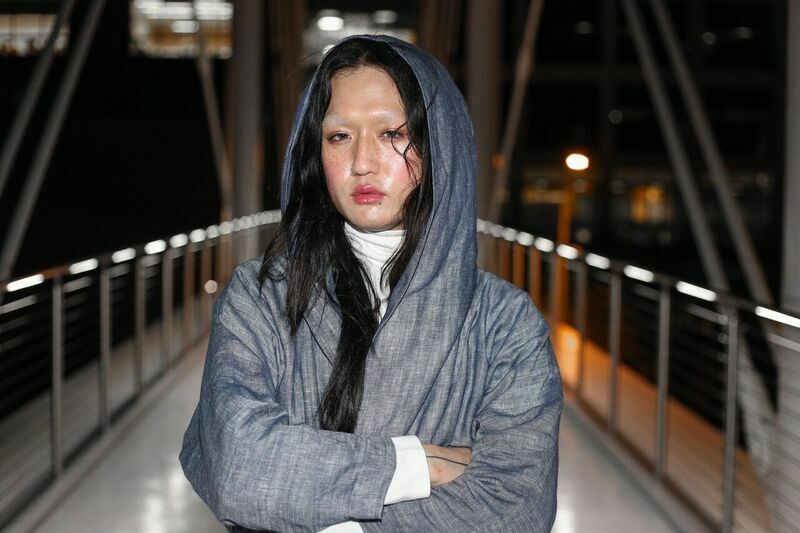 Kaidon is currently focusing on styling and makeup, while exploring sexuality and gender identity through fashion. “One minute I can be the Gucci floral girl, and the next I’m minimal Rick Owens dark lord princess.” - it’s this sort of constantly evolving aesthetic based on what you feel in the moment that makes Kaidon an inspiration to us, and made us want to explore further what “Being Kaidon” means. I'm not that emotionally available in general so I don't get attached to anything. I might be obsessed with a piece and wear it everyday for a week but besides that, I get bored easily and I'm constantly looking for the next one. Going with the theme of not being attached to anything/committed to anything makes me more adventurous. I cross "contaminate" a lot of different cultures/periods/references lol. Right now I'm resonating hard with Victorian meets Rococo meets Mongolian warrior princess goes to the alps and starts milking cows vibe.... but always sprinkles of Voldemort and minimalism. What does "Being Kaidon" mean to you with regards to your personal style and the way you express yourself? Being Kaidon is a "?" but also "!" and "..." The freedom of expression regardless of spectrum of social structure. Providing room to grow and explore possibilities and potentials. Serving timeless sophistication with a mix of shock factor. Limit is infinite. Like literally and also in calculus when the asymptote never reaches 0 but is continuous? It never fully goes there because I still want to keep something to myself only. Something that's sacred to me which is who I am. I don't follow anyone anymore. But I have been getting inspired a lot by just vintage clothes in general at the moment and also the members of the queer/gender non conforming/trans community who always push boundaries and are the only forerunners of our next generation.